I found a great estate sale on Thursday and got my paws on some cute stuff! 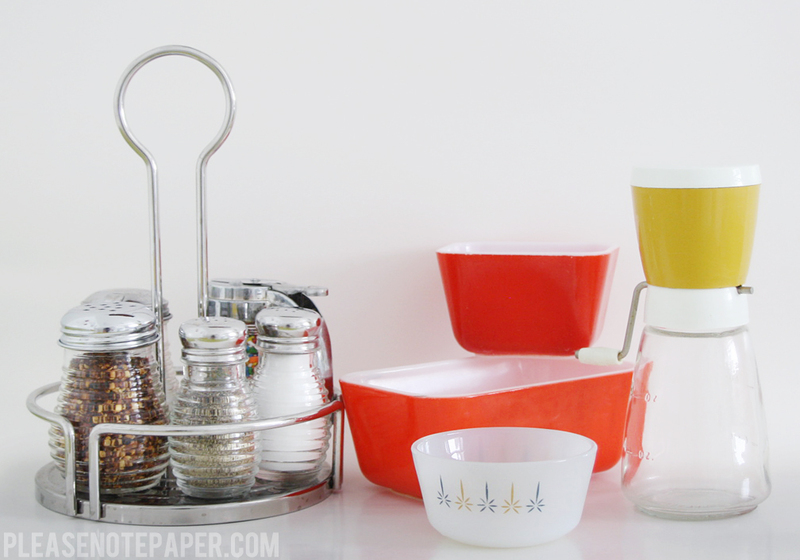 I'm probably most excited about the little condiment rack... although it isn't vintage, it's still adorable. If you look closely, you'll see that I decided to fill the syrup container with sprinkles. I probably use sprinkles more than syrup anyway. Ha. 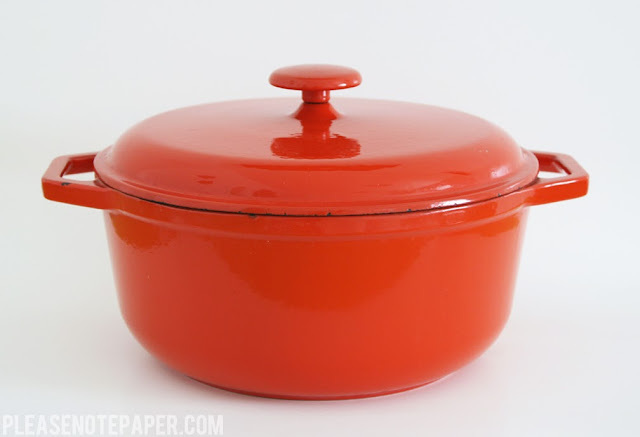 I also found something my kitchen has been missing... a dutch oven! For $15! I can't wait to bake some bread and make some soup when the weather cools down. Until then, I'll just admire the color. My kitchen could use a pop of red.